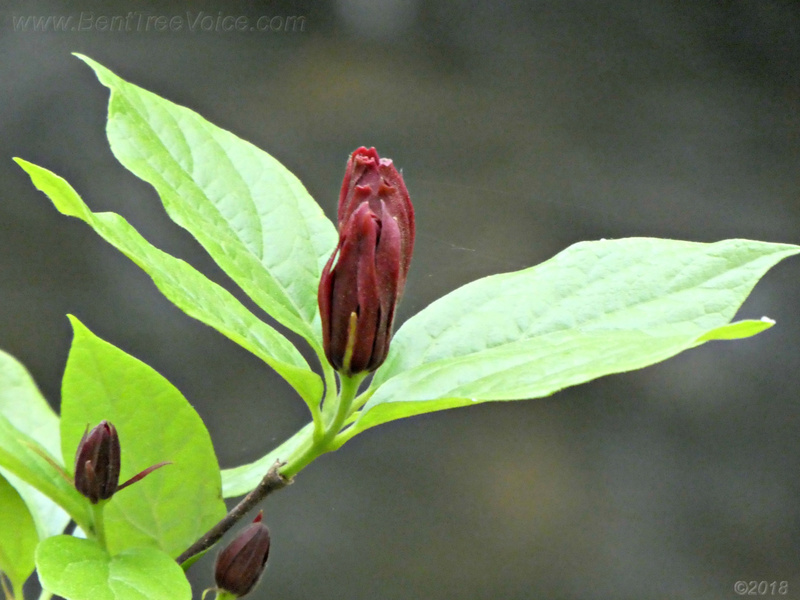 The dogwoods are loaded with buds. It’s going to be a beautiful spring in Bent Tree. 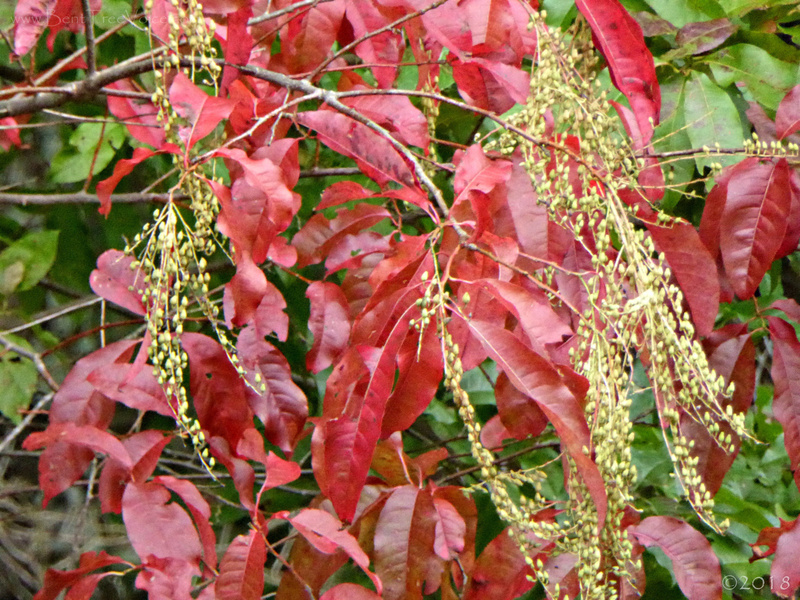 Sourwood trees are among the first trees to show fall leaf color in the Bent Tree woods. 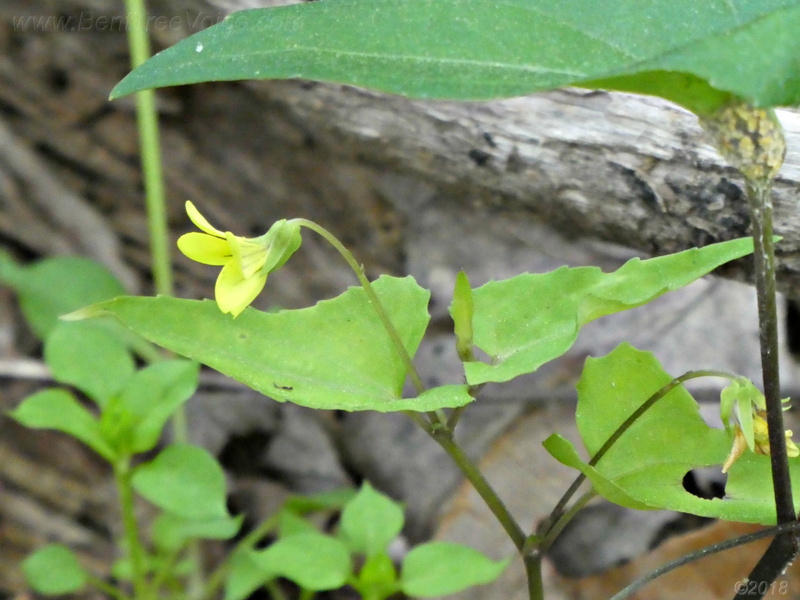 The following native wildflower photos were taken last Sunday morning in Bent Tree. 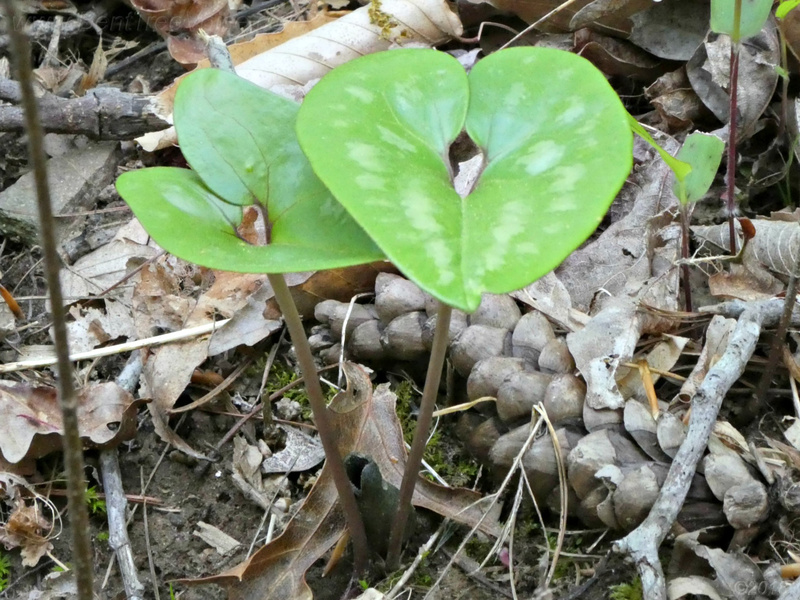 On the last photo (Heartleaf Ginger), look towards the base of the stems for the urn shaped flower (little brown jug). Click thumbnails to scroll through larger pictures. 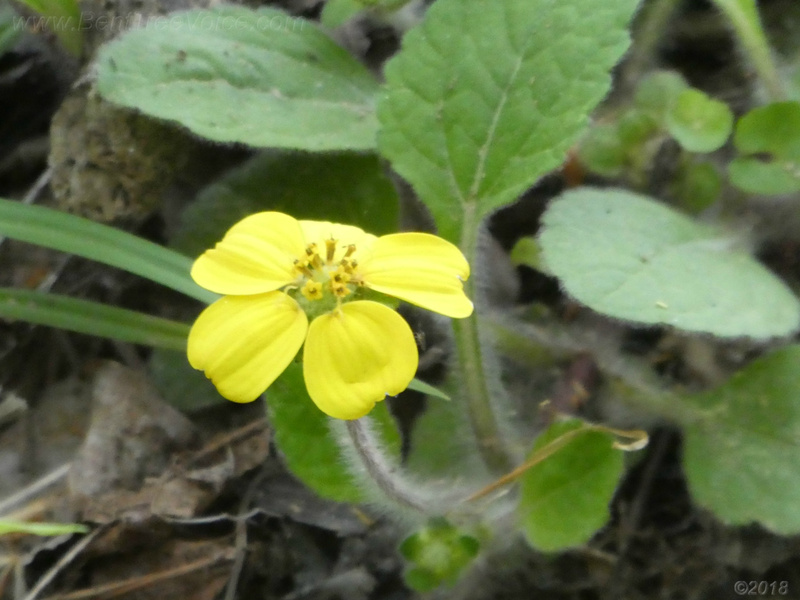 The common names of the plants will show under the larger images. 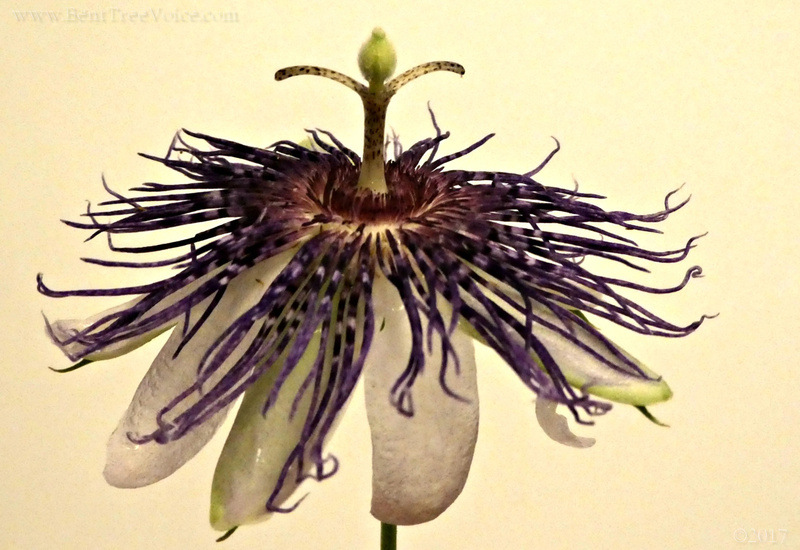 “Whereas, if it were not for the cross-pollination activities of honeybees for over fifty different crops, we would soon have to live on cereals and nuts”. – from the 1975 resolution that declared the honeybee as Georgia’s Official State Insect. Click here to read the entire resolution. 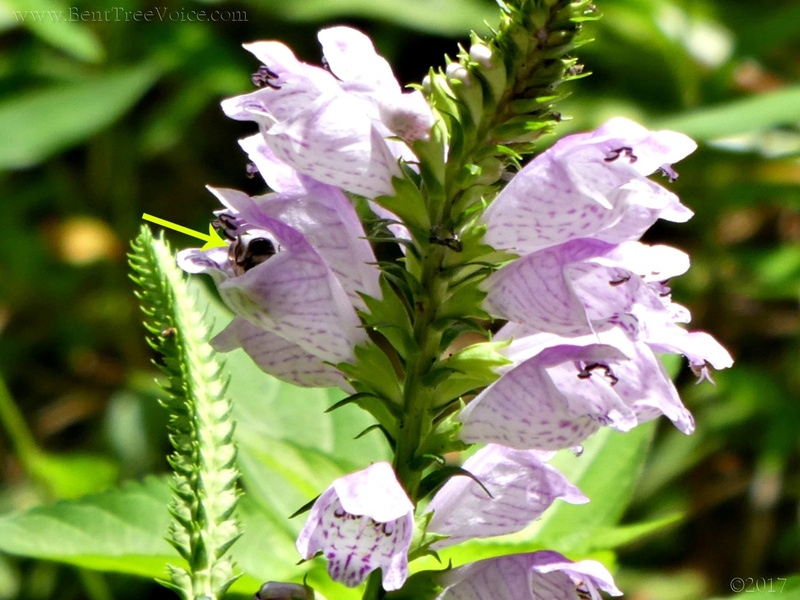 The pictures above and below show a honeybee on a native obedient plant in Bent Tree (with the bee headfirst into a flower in the picture below). Click here for a previous post about obedient plants. 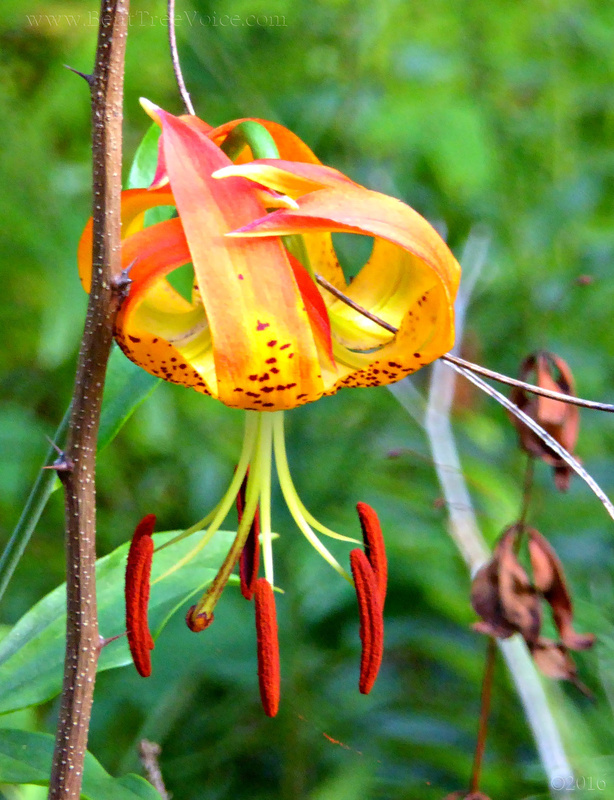 Interestingly enough, the picture in that post has Georgia’s Official State Butterfly (eastern tiger swallowtail) on the bloom. 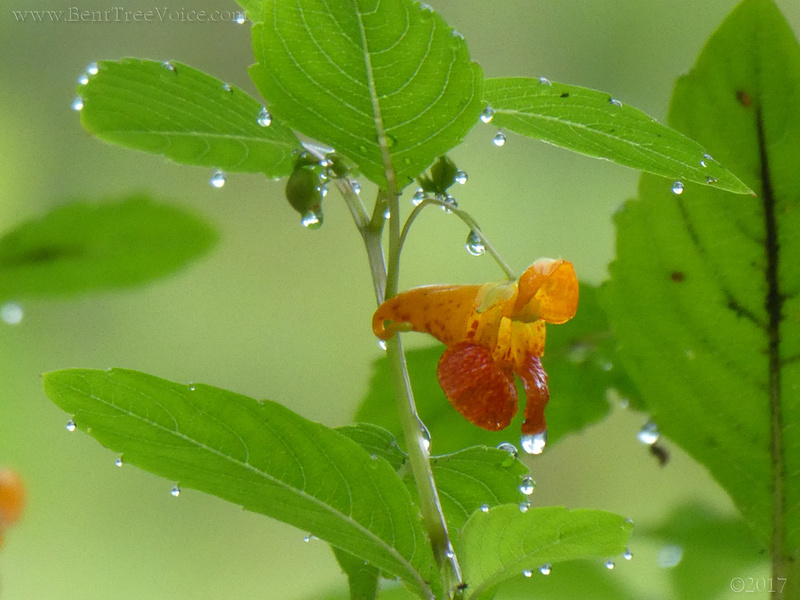 Jewelweed (Impatiens capensis), also known as spotted touch-me-not, is a magnet for hummingbirds, butterflies, and bees. The bushy annuals shine like jewels when covered with the morning dew, especially when the sun hits them. 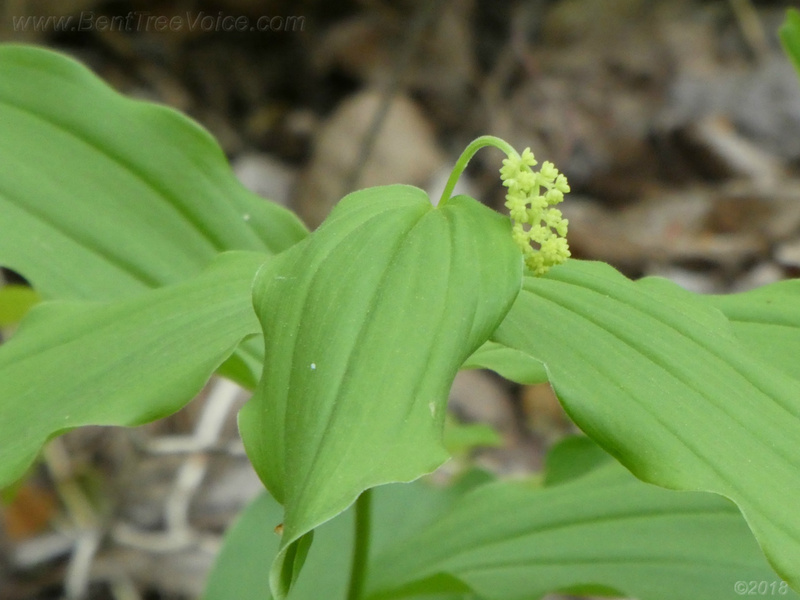 The juice from the stems is said to help treat poison ivy rashes. Who remembers this from their childhood summers? 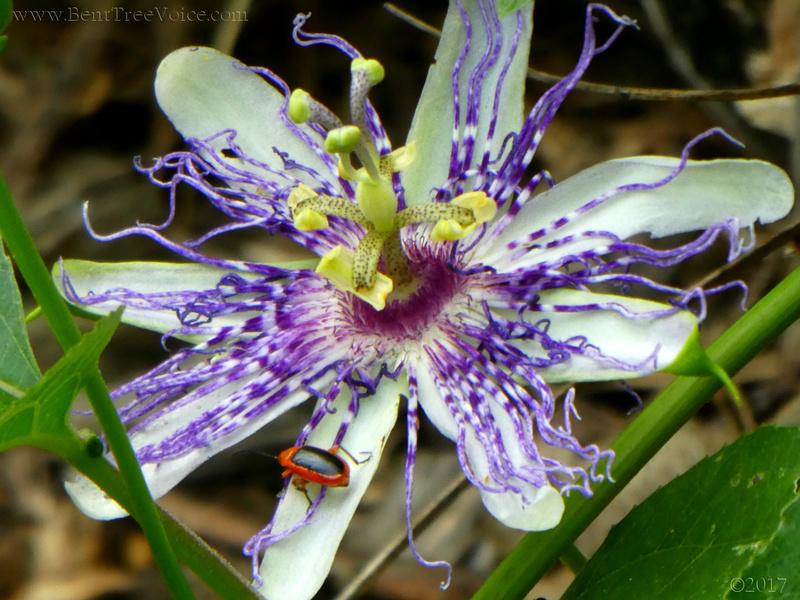 Yesterday’s post with the passionflower (aka Maypop) jogged my memory and I had to make one. 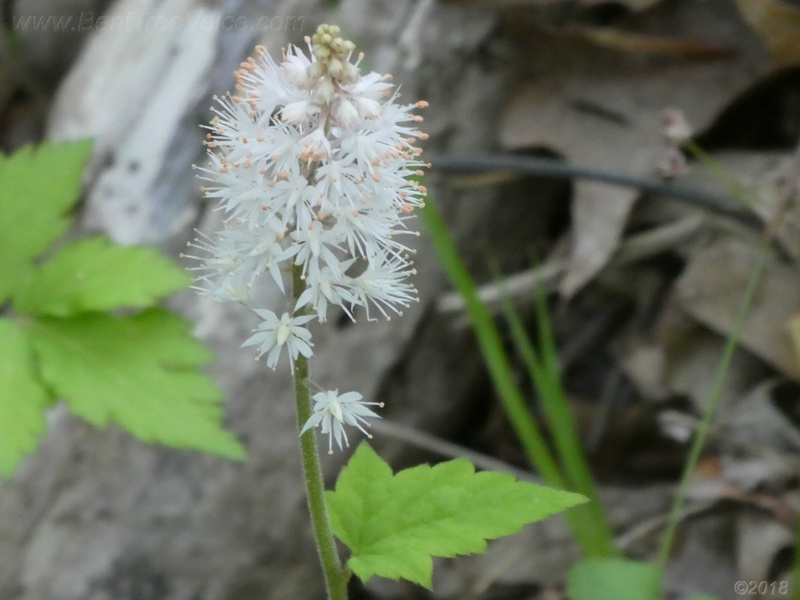 Galax (Galax urceolata synonym Galax aphylla), also known as Coltsfoot, Wand flower, and Beetleweed. 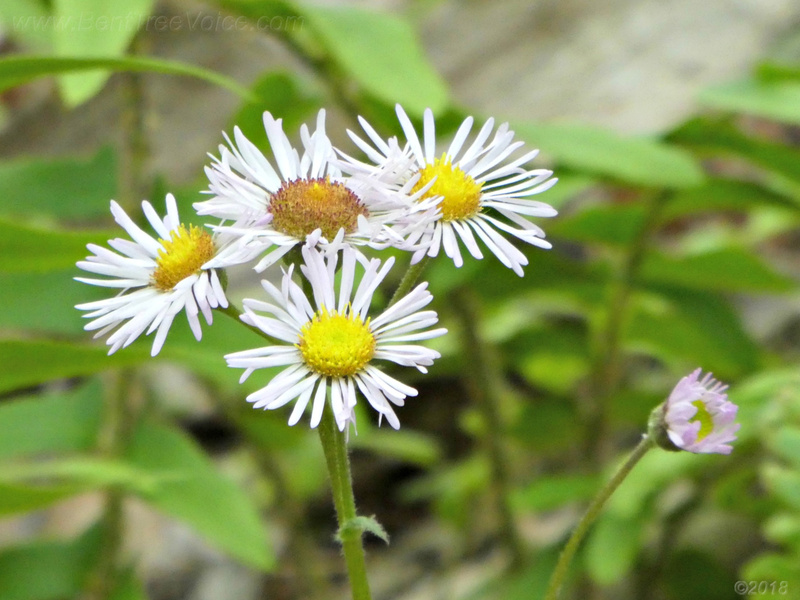 The photo above was taken in September 2012, off the beaten path along Long Swamp Creek, near the Tamarack Drive end of the Beaver Run Trail. 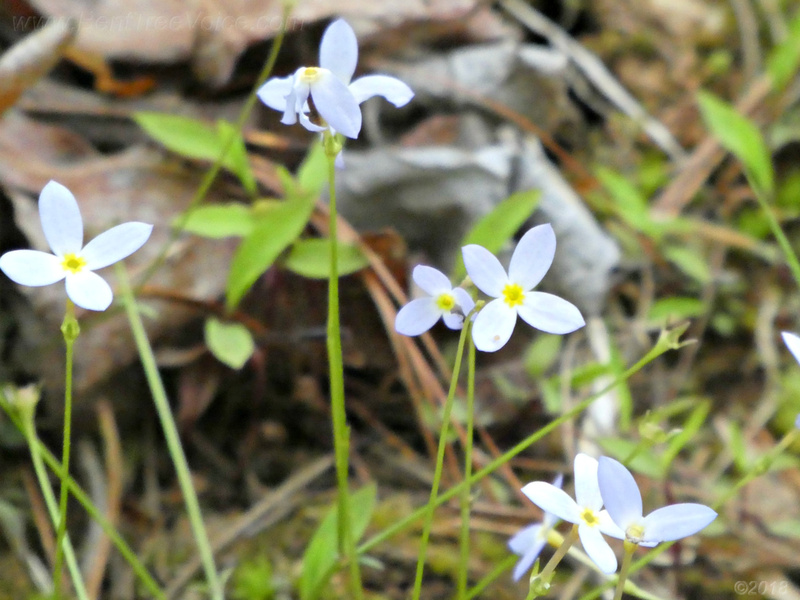 Years before that, many of the native plants in Bent Tree were marked with labels, and this little sign remained. I only found it because I spotted some trash in the underbrush and went to pick it up; the trash was next to the sign. 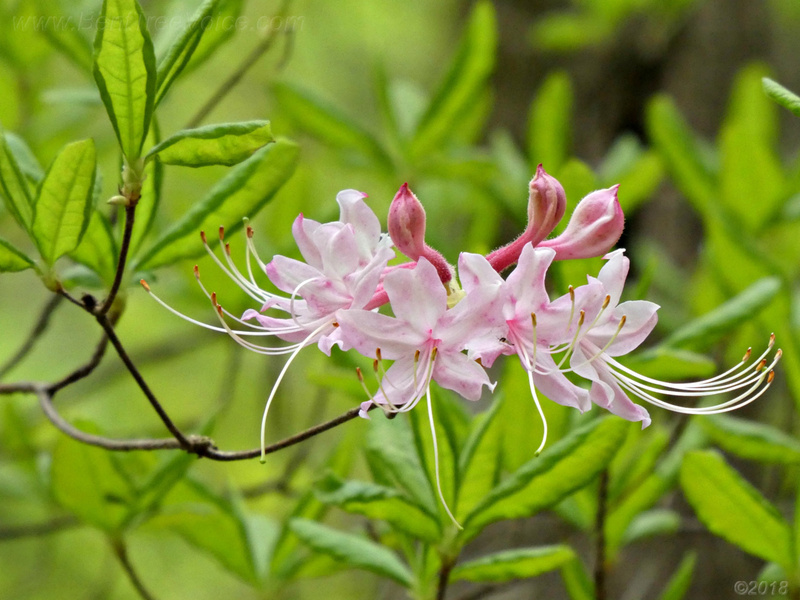 I went back to the spot in the spring of 2013 and sure enough, galax was blooming around the sign. The sign, and that particular bed of galax, was swept away by the flood later in 2013. 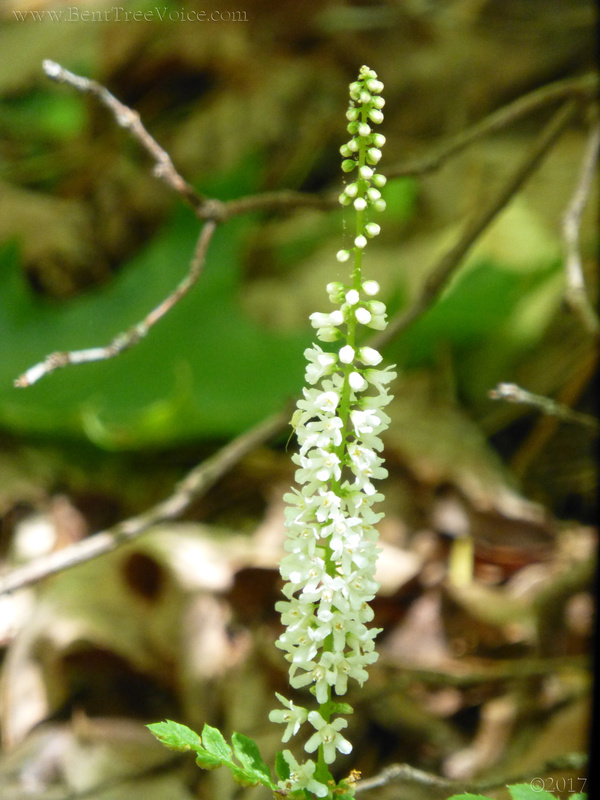 But, there are still many locations in the community where you can find galax in bloom right now. 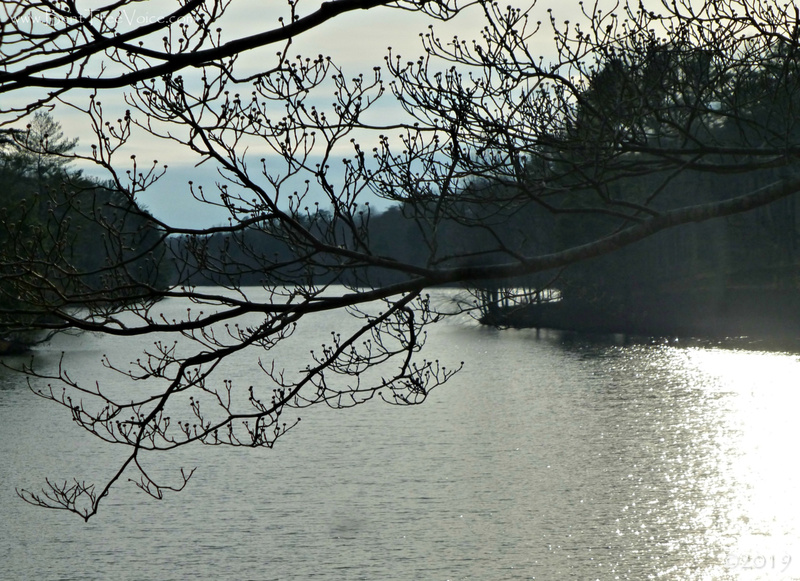 The photo below was taken on Monday. 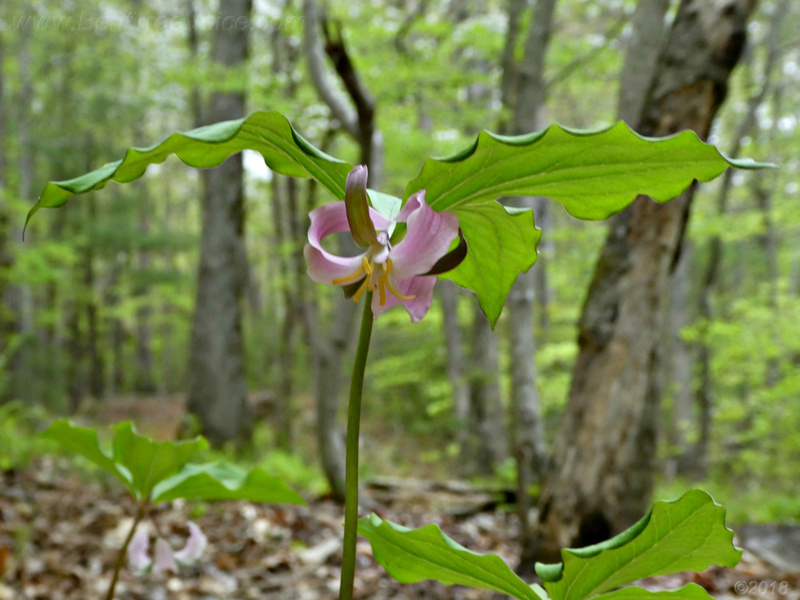 The photo below shows a nodding trillium blooming in Bent Tree last week. 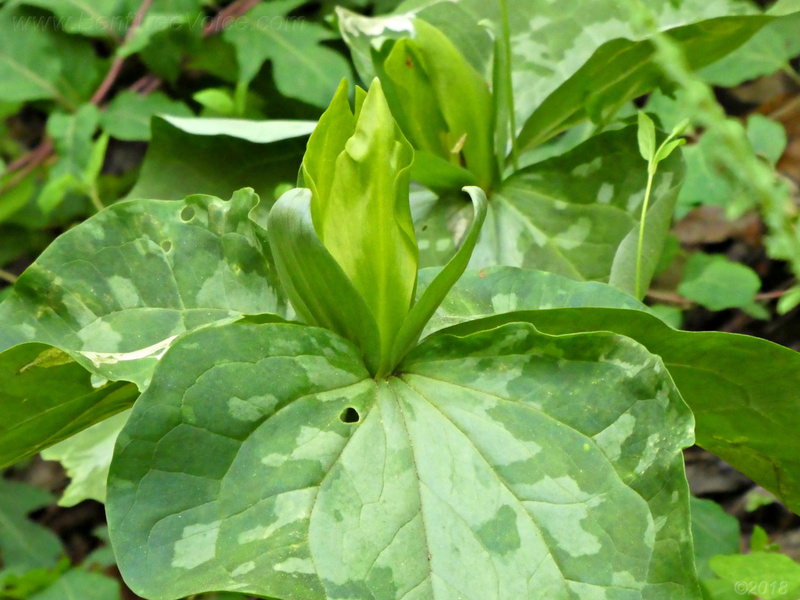 This one is known as Bashful Wakerobin (Trillium catesbaei), a.k.a. 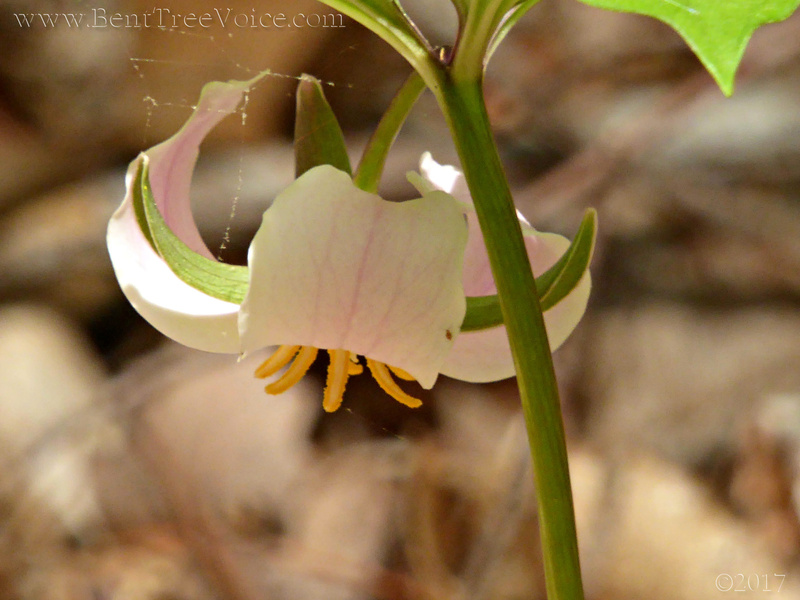 Catesby’s Trillium or Rose Trillium. 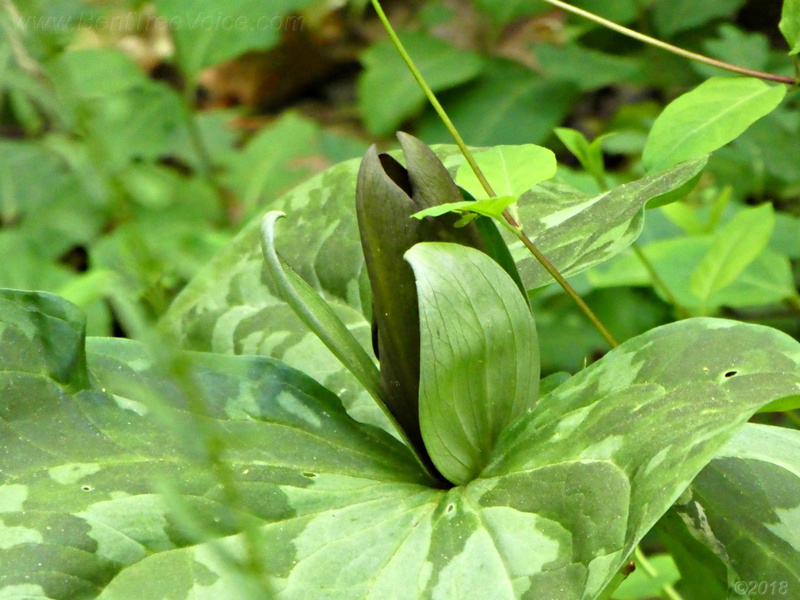 Click here to see a post from 2013 for with a good picture of the same type of trillium taken that year.